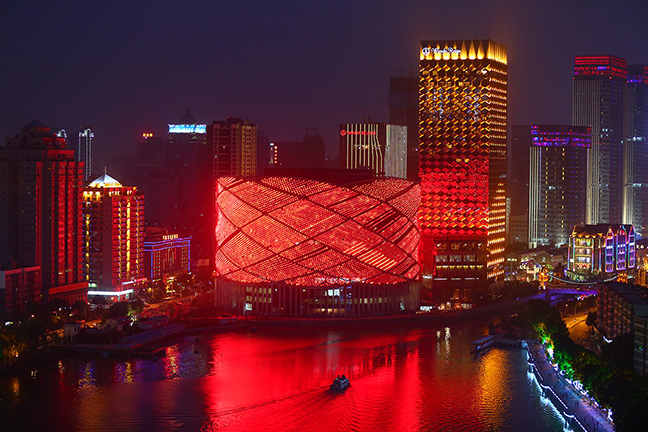 The “Wuhan Central Cultural District” development is the first stage of a city-wide programme to provide waterway connections between Wuhan‘s six lakes. The Cultural District includes a programme of offices, residential, cultural buildings and shopping malls along a 2km canal-side site. The development is anchored at the east and west by two cultural buildings designed by Stufish. 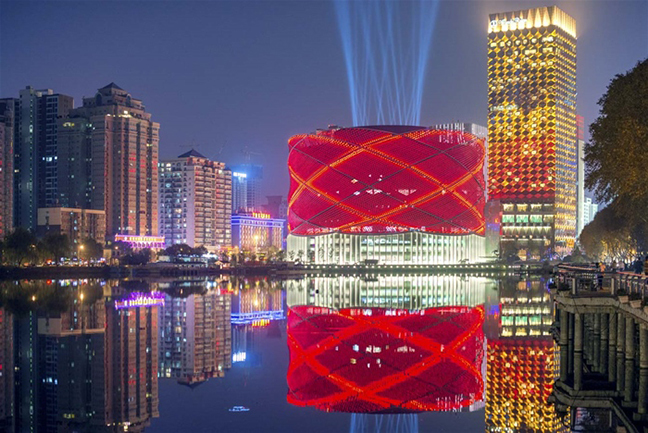 To the west, the “Han Show” Theatre overlooks Donghu Lake; the Film Culture Theme Park overlooks Shahu Lake to the east. 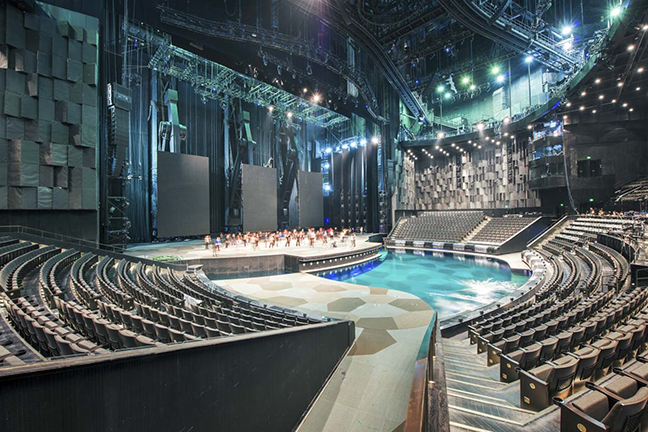 The concept for The Han Show Theatre is derived from the traditional Chinese lantern. 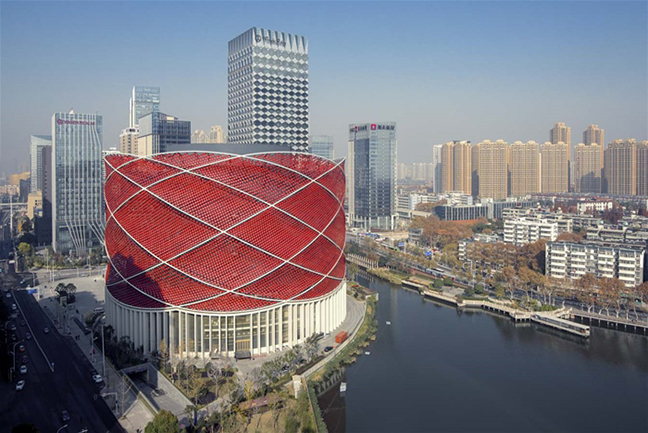 Stufish wanted to create an instantly recognisable Chinese symbol that would provide an aesthetic cladding to the theatre’s auditorium and fly tower. The lantern itself is designed to work at many scales. From distant views from across the lake it can be read as a simple symbolic form. Up close the lantern surface is created from thousands of disks each of which is lit both inside and out. Inside the theatre lobby space, the glazed roof of the atrium looks up into the 56m high lantern structure. The façade of the theatre is assembled from eight “bicycle” wheels with hundreds of spokes that connect it to the main drum of the theatre. The wheels support a mesh with 25,000 steel disks – the detailing of which was inspired by the Chinese bi disks – an historic Chinese object symbolising skyward ambition and the heavens. The building opened 20 December 2014.